Have you ever felt your smartphone was a little wobbly while texting? You’re not alone. 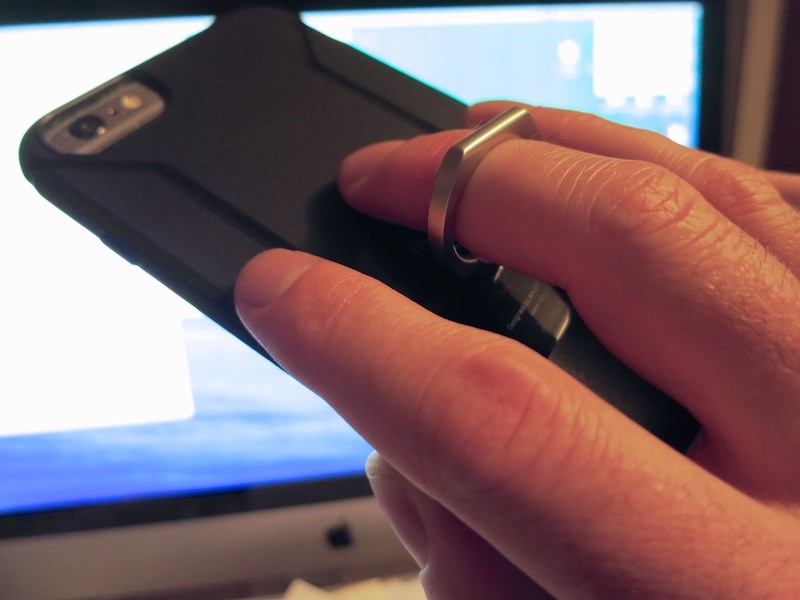 To stabilize your situation, you might want to consider getting an iRing. I’d really prefer my iPhone not meet its doom this way, simply because I can’t hold onto the darn thing! It’s already survived a couple of low-impact drops, but I worry it’s just a matter of time until a more damaging event occurs. So you’d think there’s got to be a few entrepreneurial folks out there who’ve thought about this problem and come up with a clever solution. my Road Warrior hat. On this particular day, both the travel and tech gods were smiling on me…. I magically found an aisle seat on a very crowded train. Moments later, I ran into a friend of mine, who eventually nabbed a seat right next to mine. My friend enjoys fusing ‘helpful’ technology into his daily life as much as I do. And we both get a kick showing off our latest ‘upgrades’ to each other. And what was this newest invention he had to show me? If you use this mini leash correctly, you’ll eventually forget it’s even there. Another way to use this useful invention is as a simple kickstand on a flat surface. And how much does this revolution in smartphone safety cost? In fact, dropping a few fins on a good tech deal feels like getting something for free! Perhaps not so coincidentally, the iRing goes for $19.95. So I went to the Amazon app on my iPhone… and tap. 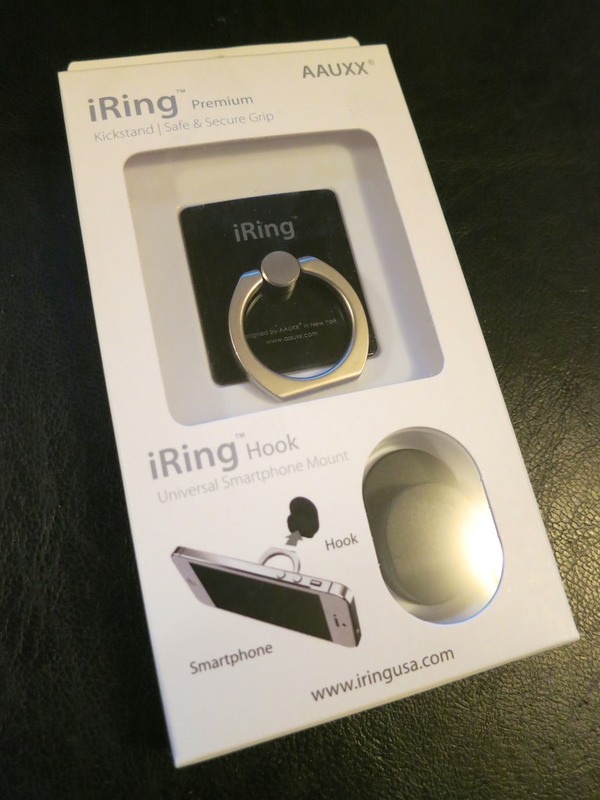 The big question now was where exactly to mount my iRing? 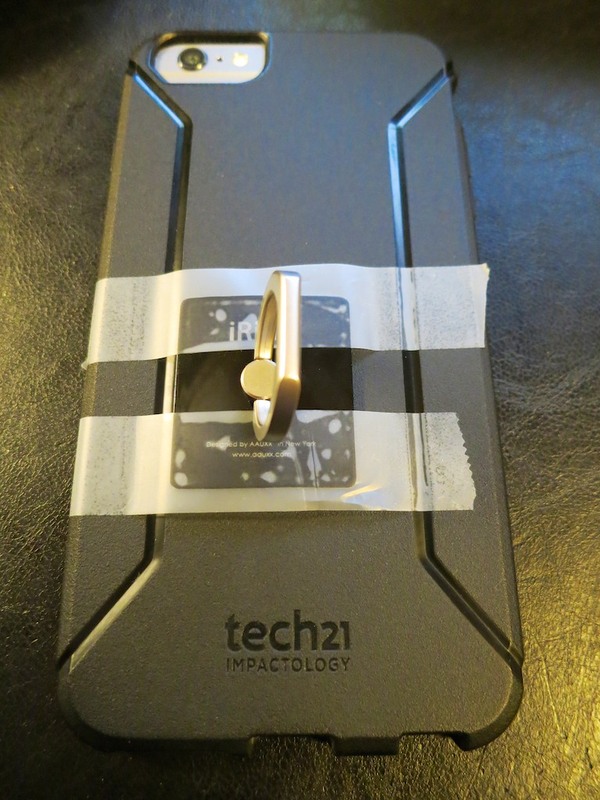 The other piece of good news here is my iPhone is protected by a ‘Tech 21’ case. So there’s no chance I’d gum up the actual back of ‘my precious’ with this iRing. My first impulse was to pop the iRing smack onto the center of my Tech21 case’s back. But then I decided to take a close look at where all my fingers typically sit while my thumb is typing away. And I immediately realized my entire hand sits noticeably lower on the back of my iPhone than I thought. So how would I figure out how to get it exactly right? As I pondered this challenge, I took a look at Amazon and landed on one of the iRing’s competitors… the Bunker Ring Essentials. Then, I noticed a video review and decided to observe where this user positioned his ring mount. Yes, he had it placed noticeably lower on the back of his iPhone Plus. But the big “Ah-ha” for me was he first used scotch tape to hold it in place to test it out. I discovered that I not only had to lower my iRing off the case’s vertical center, I also had to pull it in towards the edge closest to my thumb. This asymmetrical positioning would allow my fingers to sit exactly where they otherwise would be while my thumb does its hunting and pecking. Holding onto a massive smartphone shouldn’t be an ongoing concern as you move about your day. And now, it doesn’t have to! Not quite… but it’s a useful step in the right direction!